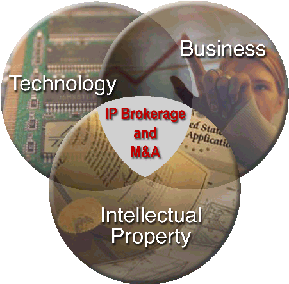 the premise that IP is no longer viewed merely as a bundle of legal rights to be enforced or licensed. models that have been used with more traditional asset classes. value calculus involved in business transactions. in the form of lead time or first mover advantage. our client buy-side and sell-side engagements. technology and monetizing the value of associated IP. ventures, mergers, acquisitions, divestitures and investments. technology companies in Silicon Valley, across the US, and around the World. technical background, industry experience, and market knowledge. visualization tools to any IP project based on the breadth and scope of the assignment. Intellectual Property Assets to the Bottom Line.